THE BEST PIZZA CUTTER WHEEL - If you looking for a professional pizza cutter that is easy to use and gives restaurant style pizza slices, then you've found it! The Bru Joy pizza wheel slices through any toppings & cuts even the largest pizza effortlessly thanks to its extra large 4" stainless steel blade that is super sharp. EXTRA SAFETY PROTECTION - Bru Joy's pizza cutter wheel's handle is longer, softer, more comfortable to grip and slip-resistant. More importantly, its built-in fingure guard not only protects your fingures from being cut, but also lets you cut through pizzas more easily. RESTAURANT STYLE PIZZA PRESENTATION MADE EASY: Larger 4" blade means by just one easy roll over, you will get a beautifully sliced pizza that lives up to any pizza lovers' expectations. MADE OF TOP QUALITY STAINLESS STEEL THAT WILL NOT RUST - Clean is easy. Simply wash it in hot soapy water then towel dry or pop the cutter into dishwasher. The stainless steel blade will not rust. SAVE 70% & FREE LIFE TIME GUARANTEE - LIMITED TIME LAUNCH SALE ENDS AT ANY TIME - Don't wait, get yours today and buy more for your family and friends. It serves a perfect bridal shower, wedding, Thanksgiving, Father's Day, Mother's Day, Birthday gifts and the best Stocking Stuffers. 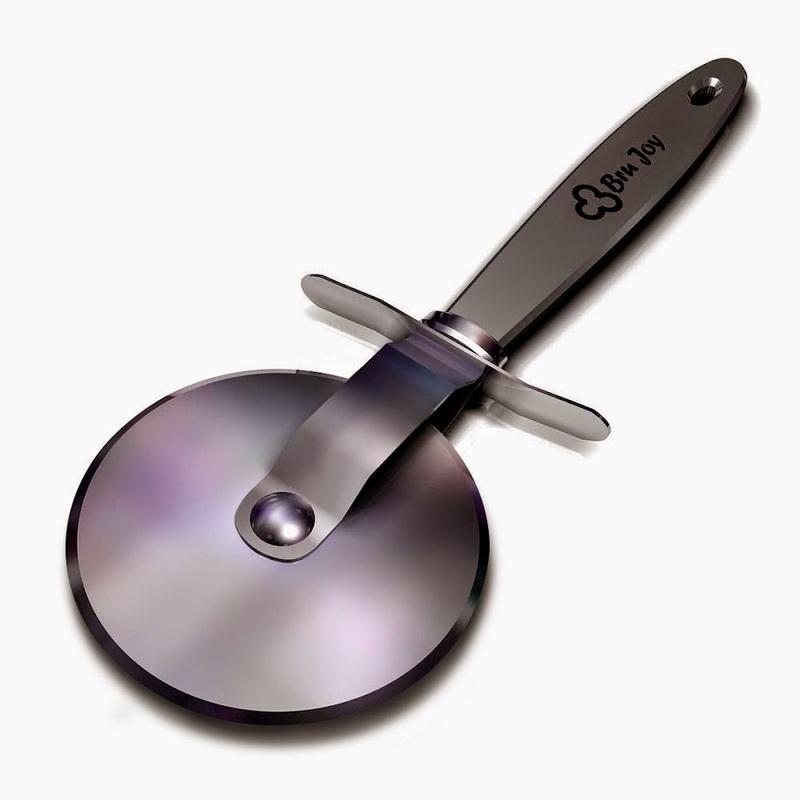 Hi pizza lovers, are you looking for a pizza cutter that is easy to use and gives restaurant style pizza slices? You've Found It! With a sharper & larger 4" stainless steel blade and a soft, easy to grip and slip-resistant handle, Bru Joy's Pizza Cutter makes sure every slice of your pizza looks as good as these in gourmet pizza restaurants. 1. 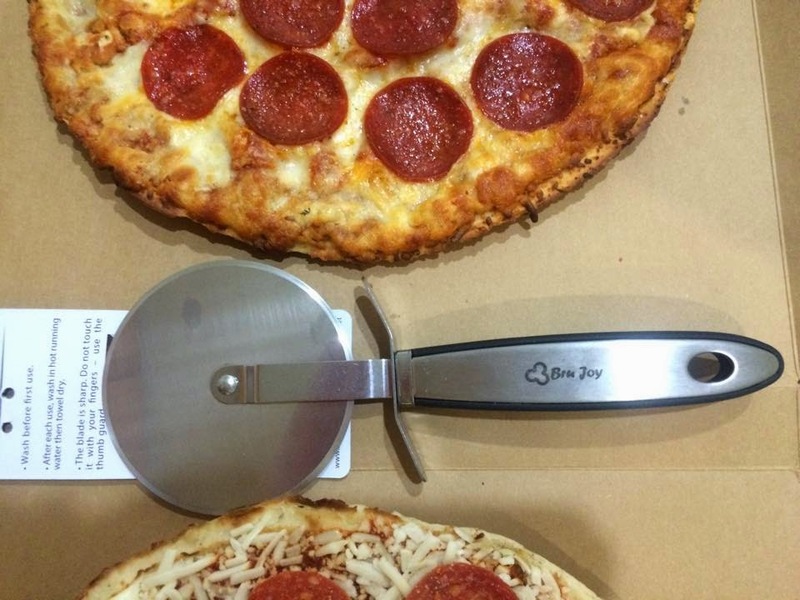 Saves You Time: The extra-large-4" blade slices through even the largest pizza effortlessly. With just one easy roll, you get a perfectly sliced pizza. 2. Delivers Restaurant Style Pizza Presentation: The razor sharp stainless steel blade cuts through any kinds of toppings easily & precisely. You get smartly cut pizza slices every time. 3. Gives Extra Safety Protection: The soft handle is easy to grip and slip-resistant. Even better, the built-in thumb guard protects your finger getting cut. 4. Easy to Clean: Made of top quality stainless steel, the blade is not only easy to clean but also will never rust. Simply wash the wheel in hot soapy water then towel dry. It is dishwasher safe too. 5. 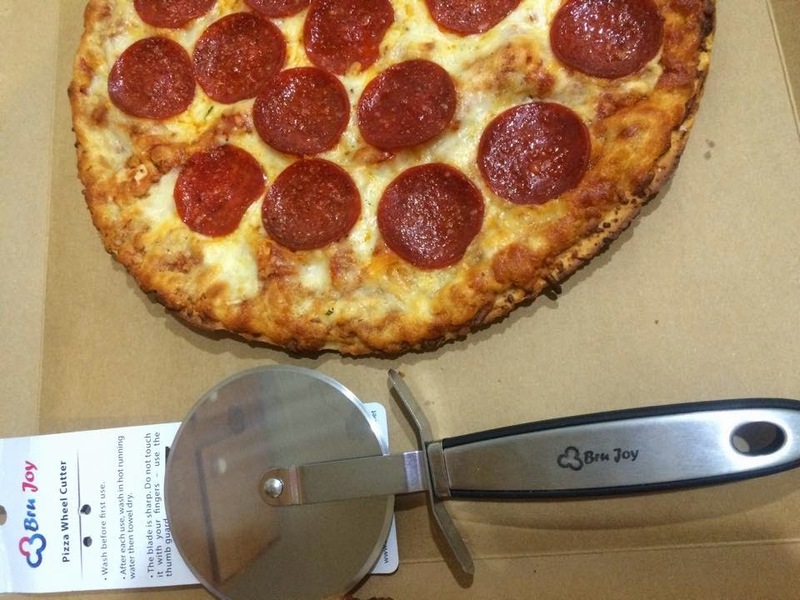 Easy to Store: There is a big hanging hole at the end of the handle so you can hang the pizza cutter anywhere. Cuts more than pizzas - Can be used on any food that you want to cut or slice! Backed by our "Love it or your money back" guarantee, your purchase today is 100% risk free! So don't wait, get yours now! Bru J0y Pizza Cutter Wheel in Action! I got to try the Bru Joy Pizza Cutter Wheel so I thought I would make a quick frozen traditional crust pepperoni pizza and show you how it works. It matches the rest of my kitchen tools nicely and I like that it is stainless steel and won't rust. I have about 3 pizza cutters because I can't find the right one.